The business models are demonstrated in four industrial areas: LED lighting products, computer tablets, meat supply chain, and vegetable farming and food. 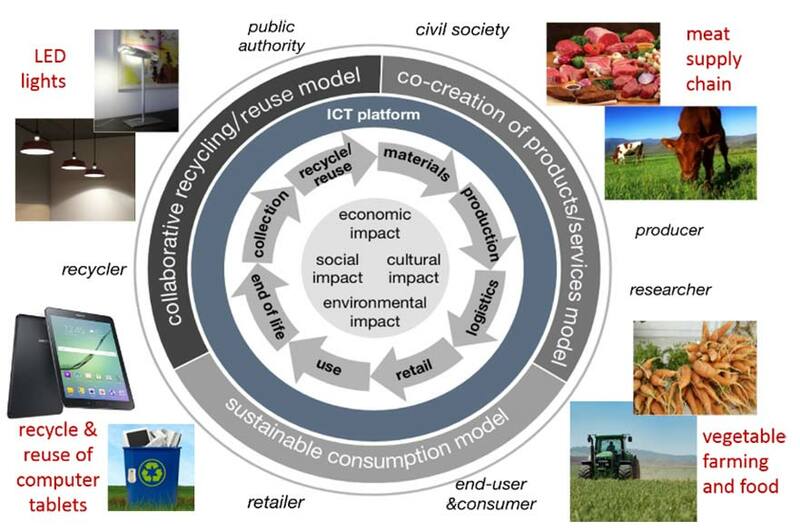 This is a three years project commencing June 2018.
develop the three new circular economy business to underpin new services with novel features to bring end-users closer to design and production phases, eco-points reflecting the sustainability of products and services, co-creation/delivery with multi-stakeholders and eco-information traceable throughout value and supply chains. develop a vendor-neutral and open source-based information logistical infrastructure to support the new business models. This will support resource and impact accounting, market signals and neutral statistics collection, as well as supporting trustworthy traceability throughout the value and supply chains. demonstrate the economic and environmental feasibility of the new circular economy business models and exploit EU eco-innovative solutions in electrical and electronic equipment, and farming and agri-food, which will engage a significant number of stakeholders in effective ways such as Living Labs, professional/business networks and societies. support the end-users to be actively involved in developing, testing and implementing the circular economy models, by awareness raising and knowledge sharing in effective ways such as the product eco-information available to end-users, consumer eco-credits awarding scheme, an Internet based system for recycling end of life products, and knowledge sharing in the form of learning materials, practices and experiences gained by partners while developing business processes and tools. make effective impacts on designing new sustainable products and services by creating new markets, shortening supply chain length, reducing consumption of resources and materials, and recovery of raw materials from WEEE. 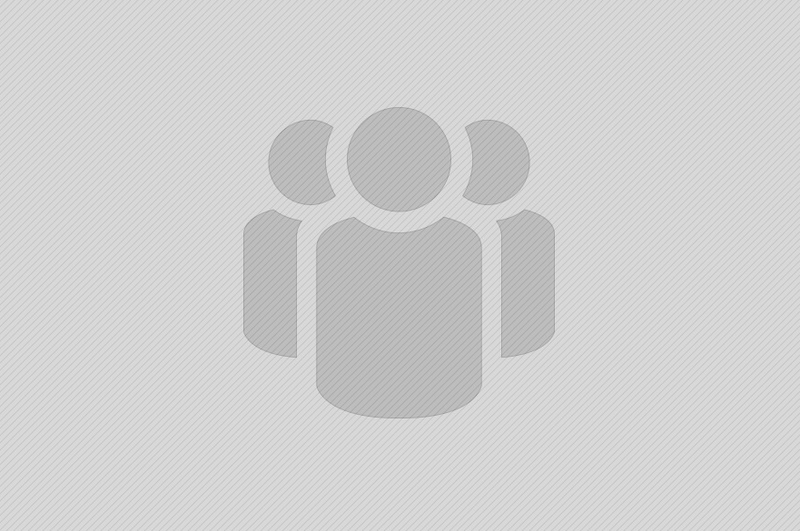 communicate and disseminate the project's activities and results to stakeholders, EU decision makers and wider communities in effective ways such as conferences and workshops, exhibitions, and association networks. produce cross-cutting policy recommendations on circular economy, based on the integration of lessons learnt in conducting this project. 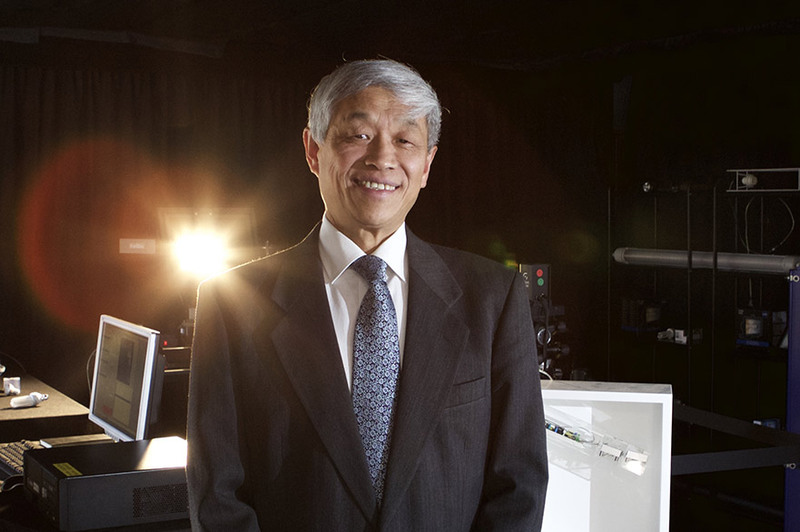 Professor Daizhong Su is Professor of Design Engineering and Head of the Advanced Design and Manufacturing Engineering Centre. As a principal investigator or co-investigator, Professor Su successfully conducted/conducts a number of collaborative research projects supported by the European Commission, research councils, governmental departments, regional development agencies, industries, and other external funding bodies. Big-data based system to collect consumers’ review data via e-commerce websites (e.g Amazon, eBay), online shops, etc. The consumer needs are then analysed and predicted via a large number of data collected. The big-data system has several novel features: automated data-gathering/extraction, online processing, high accuracy, wide coverage and fast prediction. An innovative incentive scheme for promoting end-users to recycle and reuse their products, with the following novel features: eco-credits are awarded and paid in cash or the equivalent to end-users who recycle the used products; the end-users’ environmental impacts related to the recycling/reusing activities are recorded in their eco-accounts; remote online recycling/reuse are conducted, facilitating the end-users to recycle their products via an intelligent recycling system in the nearby collection point. An innovative tool for impacts’ accurate measurement and decision making for circular economy, which has the following innovative features: (i) Assessment of a wide range of environmental and social metrics combined in one; (ii) Businesses are able to use it as a product sourcing tool; (iii) Connecting the business models for circular economy; (IV) Structured to enable updates to existing metrics and expansion to new metrics over time. (V) Businesses are able to use the decision-making function to make informed management decisions.